RMS Titanic sank in the North Atlantic Ocean in 1912, after colliding with an iceberg during her maiden voyage from Southhampton to New York City. Of the estimated 2,224 passengers and crew aboard, more than 1,500 died, making it one of modern history’s deadliest commercial marine disasters during peacetime. RMS Titanic was the largest ship afloat at the time she entered service and was the second of three Olympic-class ocean liners operated by the White Star Line. 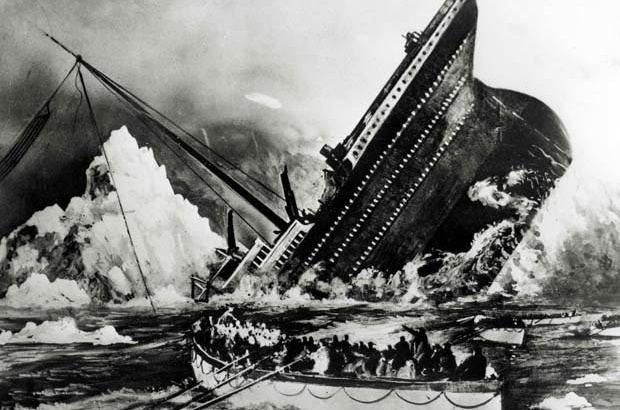 A century later, the tragic story of the Titanic still captivates us. Please join historian John Hauger for this slide show presentation and learn more about the sinking of the Titanic. Memorabilia will be on display. Families are welcome.